Nestled in the rugged and scenic Southwest Blue Ridge Highlands of Virginia is the small town of Damascus, Virginia which has been designated a "Trail Town USA" by the American Hiking Society, which ranks the top trail communities throughout the country. 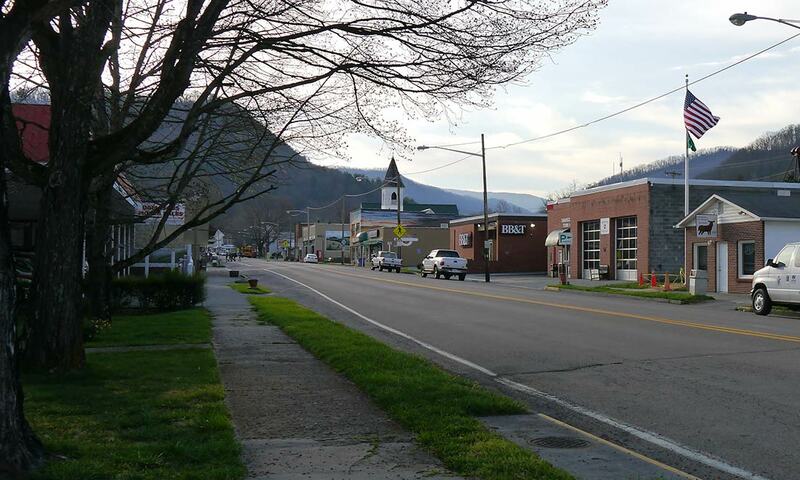 Damascus is the town where the Appalachian Trail, Virginia Creeper Trail, the Crooked Road, TransAm 76, Daniel Boone Heritage Trail, Round the Mountain Artisan Trail, & Iron Mountain Trail cross. The new town Library-Visitor Center is now open! A great place to catch up on some reading, browse the internet, or just grab some information for your visit to town. Come on over and visit them they will be glad to help you. 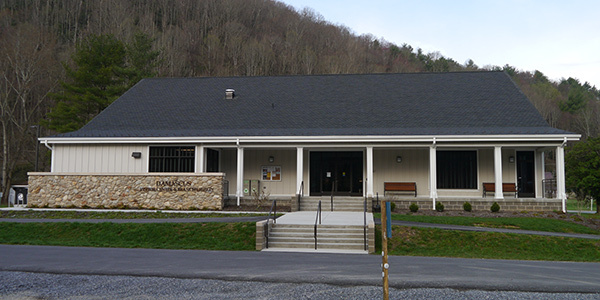 The Damascus Town Park is the central hub for events like "Appalachian Trail Days" and "Easter in the Park", it can get very crowded on weekends in the summer. The park offers a nice well maintained trail that surrounds the park, a playground for children and last but not least a bright red Caboose that you can explore. 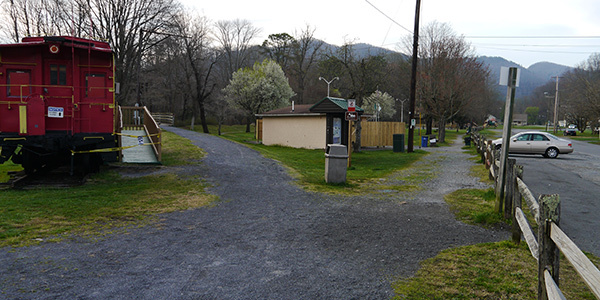 The Virginia Creeper Trail runs along the edge of the park.